Serve your customers and employees in their preferred language. 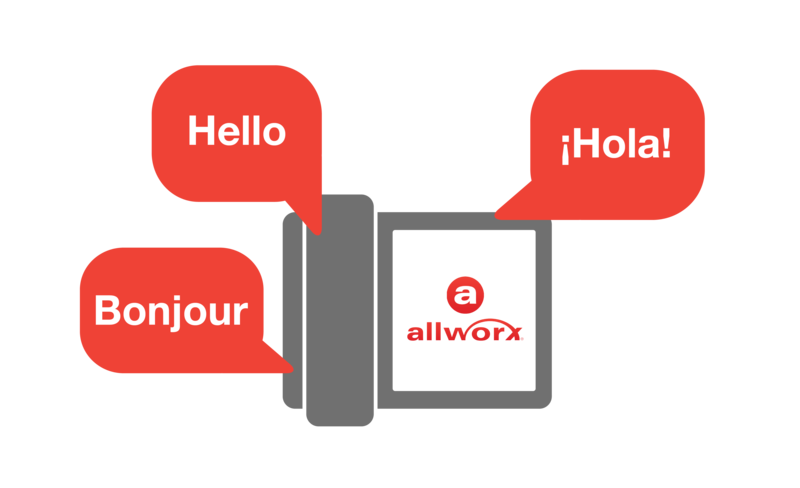 Offer voice prompts and phone text in English, plus one more language – Castilian Spanish or Canadian French. 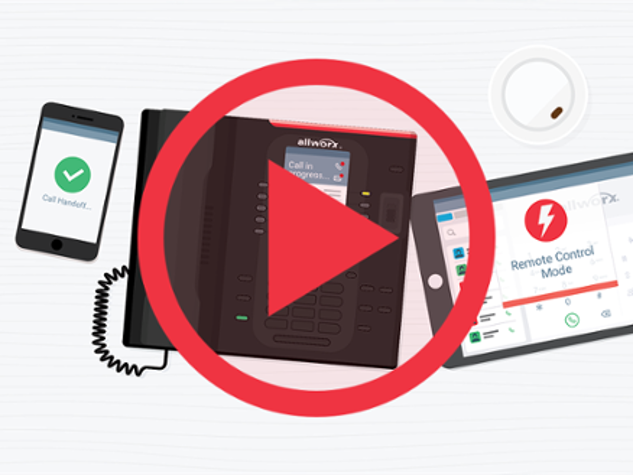 Multi-language support for voice prompts includes auto attendant and call queue greetings, conference center greetings, Follow Me call routing, message center greeting and menu, Allworx Reach Link™ instructions, and other phone feature instructions. Multi-language support for phone text includes all texts shown on the phone screens, including instructions and soft keys. For incoming callers: Play the greetings and voice prompts in the language that matches the incoming callers’ geographic area. For internal employees: Play the voice prompts and show phone text in the language preferred by each employee. Incoming callers and internal employees can press the pound key (#) twice at any time to switch the language. 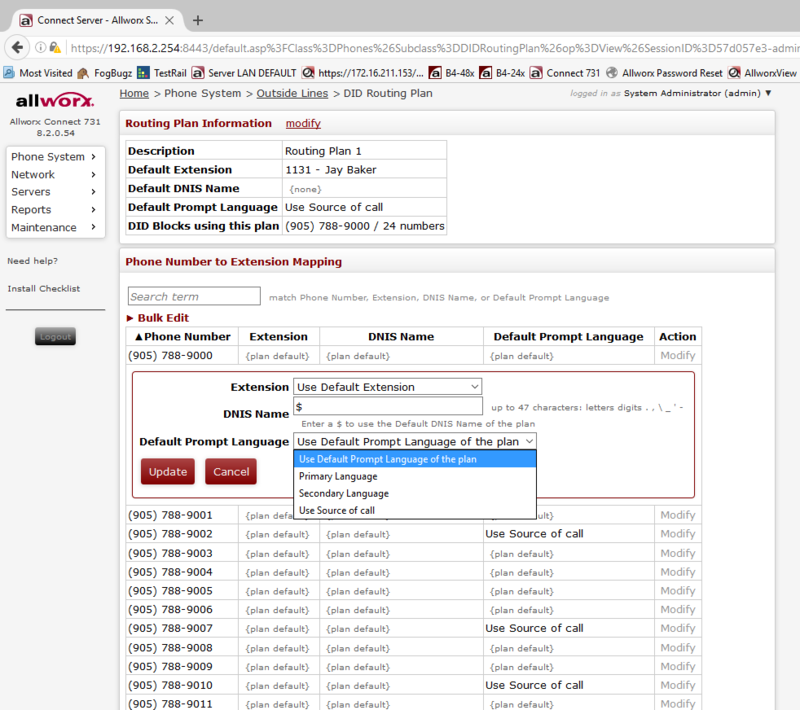 Select auto attendants and call queues can also be set to play a specific language. Associate a specific DID with a select language so incoming calls will automatically receive greetings and voice prompts in the preferred language.